December 29 is the feast of Saint Aireran the Wise, a scholarly saint associated with the monastery of Clonard. Below is a paper from the Irish Ecclesiastical Record taken from a series on the legacy of Professor Eugene O'Curry, a nineteenth century scholar of the Irish Church. One of the items which O'Curry published in translation was a prayer ascribed to Saint Aireran the Wise and I reproduce the text and its introduction below. The prayer is a wonderful litany of praise in honour of the Holy Trinity. The 'great work' to which the writer of the introduction refers is O'Curry's Manuscript Materials of Early Irish History, published in 1861 and available to read online. Prayer of St. Aireran the Wise, ob. 664. [In the first number of the RECORD we published from the manuscripts of the late Professor O'Curry the Prayer of St. Colga of Clonmacnoise. We now publish another beautiful devotional piece from the same collection. Speaking of ancient Irish religious works now remaining, O'Curry says (at page 378 of his great work): "The fifth class of these religious remains consists of the prayers, invocations, and litanies, which have come down to us". The Prayer of St. Colga, published in our last number, is placed by O'Curry in the second place among these documents, which he sets down in chronological order. "'Oirchis. id est, Mercy ; as it is said in the prayers of Airinan the Wise' : Have mercy on us, God the Father Almighty I" See original in APPENDIX, No. CXXI. "I think it is unnecessary to say more on the identity of the author of this prayer with the distinguished Aireran of Clonard. Nor is this the only specimen of his devout works that has come down to us. Fleming, in his Collecta Sacra, has published a fragment of a Latin tract discovered in the ancient monastery of St. Gall in Switzerland, which is entitled 'The Mystical Interpretation of the Ancestry of our Lord Jesus Christ'. A perfect copy of this curious tract, and one of high antiquity, has, I believe, been lately discovered on the continent. "There was another Airenan, also called 'the wise', who was abbot of Tamhlacht [Tallaght] in the latter part of the ninth century; but he has not been distinguished as an author, as far as we know". It seems to us that there are three things specially worthy of our consideration in this beautiful prayer. In the first place, we find in it an explicit and most clear declaration of the Catholic Faith regarding the Blessed Trinity, especially the distinction of three persons, and the Divinity of each of these Divine Persons. " God the Father Almighty, O God of Hosts, help us! Help us, Almighty God! O Jesus Christ! Help us, Almighty God, Holy Spirit!" We are in the next place struck by the extraordinary familiarity with the Holy Scripture which the writer evinces. There is scarcely one of the epithets which is not found in the sacred pages, almost in the precise words used by him, beginning with the first words, addressed to the Eternal Father. " O God of Hosts", the Deus Sabaoth of the Prophets, and going on to the last invocation of the Holy Ghost, " Spirit of love", which comprises in itself the two inspired phrases : " Spiritus est Deus", and "Deus Charitas est” We may also remark the coincidence between Saint Aireran and the liturgical prayers of the Church, especially in the invocations of the Holy Ghost found in the office of Whitsuntide and in the administration of the Sacrament of Confirmation. "Tu septiformis munere: Digitus Paternae dexterae". " Finger of God! Spirit of Seven Forms". In fine, we find our Irish saint applying to the Son of God the vision of the Prophet Ezechiel regarding the four mysterious animals: "0 true Man! Lion! young Ox! Eagle!" Prayer of St. Aireran the Wise. O Deus Pater omnipotens Deus exerce tuam misericordiam nobis! O God the Father Almighty! O God of Hosts, help us. O illustrious God! O Lord of the world! O Creator of all creatures, help us. O indescribable God! O Creator of all creatures, help us. O invisible God! O incorporeal God! O unseen God! O unimaginable God! O patient God! O uncorrupted God! O unchangeable God! O eternal God! O perfect God! O merciful God! O admirable God! O Golden Goodness! O Heavenly Father, who art in Heaven, help us. Help us, O Almighty God! O Jesus Christ! O Son of the living God! O Son twice born! O only begotten of the Father! O first-born of Mary the Virgin! O Son of David! O Son of Abraham, beginning of all things! O End of the World! O Word of God! O Jewel of the Heavenly Kingdom! O Life of all (things)! O Eternal Truth! O Image, O Likeness, O Form of God the Father! O Arm of God! O Hand of God! O Strength of God! O right (hand) of God! O true Wisdom! O true Light, which enlightens all men! O Light-giver! O Sun of Righteousness! O Star of the Morning! O Lustre of the Divinity! O Sheen of the Eternal Light! O Fountain of Immortal Life! O Pacificator between God and Man! O Foretold of the Church! O Faithful Shepherd of the flock! O Hope of the Faithful! O Angel of the Great Council! O True Prophet! O True Apostle! O True Preacher! O Master! O Friend of Souls (Spiritual Director)! O Thou of the shining hair! O Immortal Food! O Tree of Life! O Righteous of Heaven! O Wand from the Stem of Moses! O King of Israel! O Saviour! O Door of Life! O Splendid Flower of the Plain! O Cornerstone! O Heavenly Zion! O Foundation of the Faith! O Spotless Lamb! O Diadem! O Gentle Sheep! O Redeemer of mankind! O true God! O True Man! O Lion! O young Ox! O Eagle! O Crucified Christ! O Judge of the Judgment Day! help us. Help us, O Almighty God! O Holy Spirit! O Spirit more noble than all Spirits! O Finger of God! O Guardian of the Christians! O Protector of the Distressed! O Co-partner of the True Wisdom! O Author of the Holy Scripture! O Spirit of Righteousness! O Spirit of Seven Forms! O Spirit of the Intellect! O Spirit of the Counsel! O Spirit of Fortitude! O Spirit of Knowledge! O Spirit of Love! help us. Irish Ecclesiastical Record, Vol.1 (1865), 63-4. 'Episodes from the Life of John, the Beloved Disciple' in Maire Herbert and M. McNamara, trans., Irish Biblical Apocrypha: Selected Texts in Translation (Edinburgh, 1989), 92. On December 27 the Irish calendars record what the Martyrology of Gorman describes as 'The chief feast of John the Apostle'. I have already written about the Irish tradition concerning the apostle John in a post which can be found here. In it you will find some other selections from the Irish apocryphal writings on the Apostle John, writings which draw on common sources but which reflect distinctive Irish embellishments of the text. They are preserved in a 15th-century manuscript, the Liber Flavus Fergusiorum. The good people at Medievalists.Net have made a summary of a paper by Scottish academic Thomas Owen Clancy on the Christmas Eve Massacre by the Vikings at Iona in 986 available at their site. In it the writer presents an analysis which takes these events beyond 'simple Viking vandalism' and places them in the wider context of the political and ecclesiastical rivalries of the region. Read it here. THE town of Monasterevin derives its name from the monastery founded there by St. Evin or Emhin in the sixth century. It is said that St. Abban had preceded St. Evin in remote times, and had founded a monastic house; but it was St. Evin who brought a number of monks from his native province of Munster, and the place which had previously been called Bos-Glas, which means the Green Wood, now came to be called Bos-Glas-na-Muimneachy or Bos-Glas of the Munster men. "Saint Evin betook himself to Leinster, and at the bank of the River Barrow he raised a noble monastery, called in that age Ros-Glas, and which, from the number of monks who followed the man of God from his own country of Munster, was called Ros-Glas of the Munster men. This holy man was famous for many and great miracles, and the monastery on account of the reverence paid to its first founder, stood in so great honour with posterity, that it was held a most safe sanctuary, and no one presumed to offer violence or injury to the holy place, who did not soon afterwards suffer the severity of the Divine vengeance." St. Molua of Clonfert (4th Aug.) speaks of '' having visited the Abbot of St. Evin in his monastery not far from the Barrow, which that most holy man, St. Abban, had originally founded." The year of St. Evin's death is not recorded anywhere; but his festival was held on the 22nd of December, and his death probably occurred in the sixth century. St. Evin wrote a Life of St Patrick, partly in Latin and partly in Irish ; and it is said to contain many more details of St. Patrick's life and mission than there are in any other Life of the Saint. In the Calendar of Angus he is called '' Pure Emhin from the brink of the dumb Barrow." The well that springs at a little distance from the present mansion was in all probability originally St. Evin's well. "The whole realme was overrunn by the Danes. The Churches, Abbeys, and other religious places were by them quite razed and destroyed, or otherwise turned to base and servile purposes. "Almost all the gentlemen of any account were turned out of their Lands. Yea, some of the best sort were compelled to servitude and bounden slavery. Indeed it was strange how men of any fashion could use other men as the Danes did use the Irish men at that time. But King Bryan Borua was a Salve to cure such sores: all the physick in the world could not help it elsewhere: in a short time he banished the Danes; made up the Churches and Religious houses; restored the people to their antient possessions, and, in fine, brought all to a notable reformation." Some years later the monastery having again become ruined, it was refounded towards the close of the twelfth century by Dermod O'Dempsey, Lord of Offaly, as a Cistercian Monastery, and called Ros-Glas or de Rosea alle. "Dermot O'Dempsey, King of Offaly, to all his nobles, clergy, and laity, both present and to come. Greeting, I make known to you all, that I, Dermot O'Dempsey, King of Offaly, by the consent of Murdoch O'Conor have given and confirmed to God and the Monks of the B.V.M. of Rosglas, land on which to build a Monastery in honour of the Blessed Mary ever Virgin, and of St. Benedict the Abbot, as a perpetual eleemosynary. These are the lands which I Dermot O'Dempsey have given and confirmed to the aforesaid Monks of Rosglas in remission of my Sins and of the Sins of my Parents, the site of the Monastery of Rosglas, and all the lands with their appurtenances, and with the men belonging to the same lands. All these I give and confirm to the aforesaid Monks, to be held as a free, pure, and perpetual eleemosynary for the health of my soul, and the souls of my predecessors. Wherefore I will and command that the aforesaid Church of Rosglas and the Monks and brethren serving God therein, may have and hold the aforesaid lands, with all their liberties, viz., in woods and plains, meadows and pastures, and morasses in waters and fisheries, in roads and paths, in ponds and mills, in turbaries, and all mountains and valleys, and in all other places and things appertaining to the same lands, free quit and solutias from any customs and exactions, and from all secular duty. Filan, the son of Filan. The Countess of Drogheda, 'Monasterevin' in Journal of the County Kildare Archaeological Society, Vol. IV (1903-1905), 231-244. Saint Finnian of Clonard - Tutor of the Saints of Ireland? would have played well with the Anglo-Normans, most of whom had family connections in that area. The various Lives of Saint Finnian would require more systematic and extensive study before more definitive conclusions can be reached. It is interesting though to see that the Normans and the continental religious orders who followed in their wake, both of whom are presented as the destroyers of the spirit and legacy of the 'Celtic church' in popular myth, in this case may actually have been the people behind the preservation of some of those charming stories of our early native saints. On the blog I have posted a paper on the life of Saint Finnian here and an account of his monastic school here. There is also an introductory post on the Twelve Apostles of Ireland here. 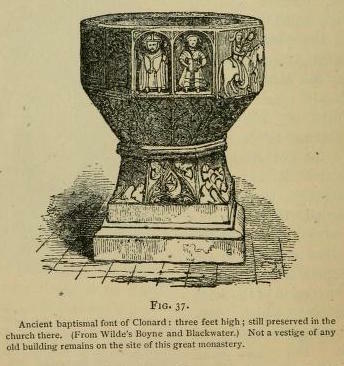 The illustration of the Clonard baptismal font has been taken from P.W. Joyce, A Smaller Social History of Ireland (1906), p.138. W. Stokes, ed. and trans., Lives of Saints from the Book of Lismore (Oxford, 1890), 226. J. F. Kenney, The Sources for the Early History of Ireland: Ecclesiastical - An Introduction and Guide (reprinted edition, Dublin, 1979), 375-6. 'Saint Finnian of Clonard', Bulletin of the Institute of Historical Research, 25 (1952), 76-78. 'The Historical Value of the Lives of Saint Finnian of Clonard', English Historical Review, 66 (1954), 13-27. 'The Cult of Saint Finnian of Clonard from the Eighth to the Eleventh Century', Irish Historical Studies, 9 (1954), 353-372. 'The Offices of S. Finnian of Clonard and S. Cianán of Duleek', Analecta Bollandiana, 73 (1955), 342-372. 'Additional Note on the Office of S. Finnian of Clonard, Analecta Bollandiana', 75 (1957), 337-339. These have been conveniently collected in a single volume issued by Variorum Reprints as Kathleen Hughes, Church and Society in Ireland A.D. 400-1200 (London 1987), edited by David Dumville. Padráig Ó Riain, A Dictionary of Irish Saints, (Dublin, 2011), 319. "This monumental stone", says Dr. Petrie, " was discovered about forty years ago within a circular enclosure known as St. Brecan's tomb, at a depth of about six feet from the surface, on the occasion of its being first opened to receive the body of a distinguished and popular Roman Catholic ecclesiastic, of the County of Galway, who made a dying request to be buried in this grave. Under the stone within the sepulchre there was also found, on this occasion, a small water-worn stone of black calp or limestone. . . . On the upper side is carved a plain cross, and around this, in a circle, the following simple inscription (Anglicised): 'A Prayer for Brecan the pilgrim'". This venerable relic is at present in Dr. Petrie's possession. Ware makes St. Brecan flourish about 650. Dr. Petrie says he died early in the sixth century. Rev. A. Cogan, The Diocese of Meath Ancient and Modern. Vol. I. (Dublin and London, 1862), 50-51. 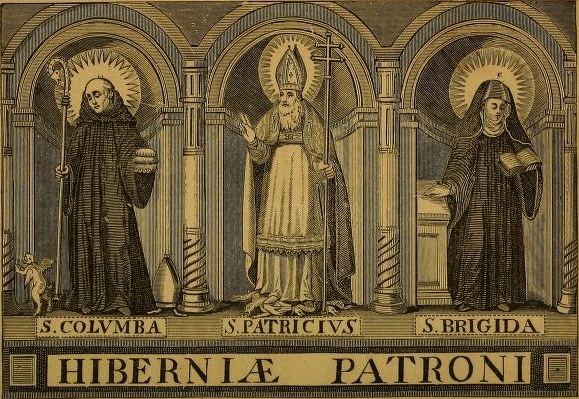 THE SAINTS OF CATHOLIC SCOTLAND. SOME three years ago, when the Chapel of St. Andrew and the Saints of Scotland in Westminster Cathedral was being decorated by the generosity of the Marquess of Bute, the present writer was privileged to assist in the compilation of the list of saints' names now inscribed upon those marble walls. To many persons — Catholics, even — that enumeration has been matter for wonder; it has seemed almost beyond belief that so many holy ones, linked close to the history of Scotland, should have become so absolutely forgotten that their very names, for the most part, were unknown. It is indeed a matter for lament that until recent years many such saints should have attracted so little interest; still more is it to be regretted that the writers who have helped to perpetuate their memories must be sought for, as a rule, among non-Catholic antiquarians — we Catholics, the saints' own brethren in the faith, taking but little interest in their histories or cult. It may help forward this tardy appreciation, now at length beginning to stir in the minds of Catholics, if some brief notes on the subject be here offered. The names selected for the adornment of the chapel in question were carefully chosen from a larger number as representing saints authentically vouched for by reliable sources. It would encroach too much upon valuable space to attempt to touch upon even these. It will be sufficient for our present purpose to restrict our inquiry to the saints of Scottish origin alone, and of these only the better known. Dr. Hill Burton, sometime Historiographer Royal of Scotland, used to delight, as his Catholic widow told the present writer, in the gibe — without foundation, as will be seen — that all the Scottish saints were Irish! It is true that the intimate connection between the west of Scotland and adjacent Ireland in early ages led to numerous Christian missionaries passing over to preach the Gospel to the pagan races of the mainland; from this fact comes the preponderance of Irish names in the calendar of Scottish saints. Of these saintly men and their deeds it may be possible to speak on another occasion; in this paper we will confine our researches to Scots alone. A preliminary remark suggests itself as to the sources of information upon which we have to rely. Of books or manuscripts on the subject there is a regrettable dearth. The "Breviary of Aberdeen" (1509), compiled by the illustrious Bishop of that see, William Elphinstone, founder of Aberdeen University, is the chief fount of information. Others consist of Irish ecclesiastical records. But alongside of these and forming strong corroborative evidence are the traces of the cult of ancient saints in the dedication of churches, in holy wells, fair-days and the innumerable place-names still in use. This will be recognized in passing. The earliest saint of Scottish birth, and indeed the first authentic Christian missionary in the country, was St. Ninian. One of the best known of Scottish saints, his history need be but briefly outlined. St. Bede, in his History calls the saint "a most reverend Bishop and holy man . . . who at Rome had been regularly instructed in the faith and mysteries of the truth." St. Aelred, a later biographer, gives further particulars. Ninian, he tells us, was the son of a Pictish chieftain of Galloway and was born about A.D. 360. After a youth of true piety, he journeyed to Rome, where Pope St. Damasus gave him competent instructors in all Catholic learning, and Pope Siricius ordained him, consecrated him Bishop and sent him to evangelize the pagan peoples of the west of Scotland. Not only did the saint convert the people of Galloway, but also the southern Picts, inhabiting the country north of the Forth; he ordained priests, consecrated Bishops, portioned out the country into missionary districts and founded at Whithorn a monastery destined to become the centre of learning and school of sanctity for Ireland as well as Scotland. From St. Martin of Tours — a relative, as it is said — he obtained workmen to erect the first stone church in Scotland. From its walls of shining white it gained the name of "Candida Casa" ("White House"), which gave the title, still borne by the Bishop of Galloway, to the see established by St. Ninian, as well as that of "Whithorn" to the town which grew up around it. At St. Martin's death, before the building was finished, the founder determined to call the church by that saint's name, but later ages changed it for that of Ninian. So popular was the devotion to this saint that in Scotland alone the churches dedicated to him are computed to have numbered at least sixty-three. In Ireland, too, his memory was deeply cherished. Though many writers give A.D. 432 as the date of his death, that is by no means certain. It is a departure from the resolve to speak of Scottish saints alone if we interpolate here some remarks upon the mission of St. Palladius in the closing years of the life of St. Ninian; but it seems desirable for more reasons than one. From St. Prosper of Acquitaine we learn that Pope Celestine raised Palladius, the Roman deacon, to the episcopate about the year 431, and sent him as Bishop to the Christian Scots. At that date, Ireland was known as Scotia, and a well-founded tradition tells of St. Ninian having assisted Palladius in his missionary efforts in Ireland in the founding of a church and monastery there by the great Scottish Bishop. 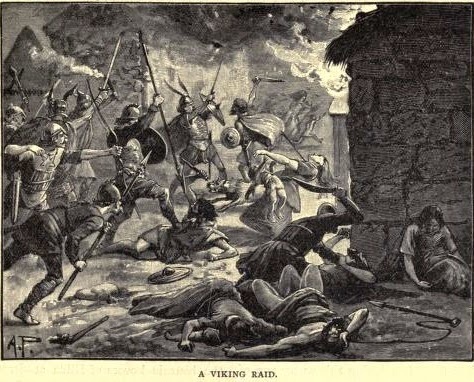 From many Irish records it is clear that Palladius visited that country, though some historians relate that he quitted it eventually on account of the people being ill disposed towards him. Scottish tradition, however, maintains that St. Palladius was a missionary in Scotland, where he carried on the work begun by St. Ninian. As proof of this, Scottish writers adduce the facts of the baptism of St. Ternan (to be mentioned later) by Palladius and the foundation by him of the church at Fordun, in Kincardineshire, where, as the historian Boece relates, his relics were translated to a silver shrine by Archbishop Schevez, a thousand years later. The ruins of his chapel at Fordun and a holy well there, called by his name, as also "Paldy's Fair," formerly held annually on July 6, are further proofs. 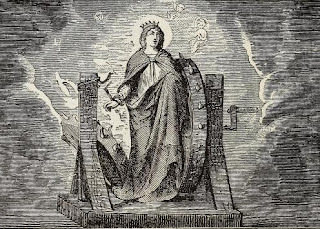 The contradictory traditions seem to be reconciled by the testimony of the "Vita Prima S.Patritii," written before the eleventh century; it is there stated that the saint on leaving Ireland was driven by a tempest to the east coast of Scotland and landed at Fordun. Other Irish writers hold the same view and have been followed by the Aberdeen Breviary. The Arbuthnott Missal, too, contains a hymn in celebration of his missionary labors. The chief reason for alluding here to St. Palladius is the fact of his mission in Scotland having been referred to, as a traditional belief, in the Bull "Ex supremo Apostolatus apice," by which Leo XIII. in 1878 restored the Scottish hierarchy. The same Pontiff recognized, in 1898, the immemorial cultus of the saint. Whatever difference of opinion may cast doubt upon the actual presence of St. Palladius in the country, there can be no denying the missionary labors of his disciple, St. Ternan. Scottish tradition tells of his baptism by Palladius, by means of a miraculous spring of water provided for the purpose. This, like many such embroideries of reliable history, need not detain us. What is certain is that Ternan took up the work commenced by St. Ninian in the northern district of which he was a native. He fixed his residence, after he became Bishop, at Abernethy, but other churches in the district were later placed under his patronage, a testimony to his missionary labors in those parts. Arbuthnott, in Kincardineshire, where an ancient Romanesque church of St. Ternan is still to be seen, was one of these. A manuscript missal, the only Scottish book of the kind that has survived the Reformation, was used in this church and is known as the Arbuthnott Missal, from the fact that Robert Arbuthnott, proprietor of the estate, caused it to be drawn up some time before his death in 1509 by the then vicar, James Sibbald. This missal contains a proper Mass and Office for St. Ternan, and St. Palladius, as already noted, is referred to in its pages. St. Ternan died at Abernethy, but was buried at Banchory, on the Dee, distinguished by the additon of the saint's name from another Banchory in the district; the former is known as Banchory-Ternan, and the church, dedicated to him, possessed in Catholic ages not only his relics, but a copy of St. Matthew's Gospel which had belonged to him, magnificently bound in gold and silver, and the saint's bell. The latter is thought to have been identical with an ancient bell discovered in recent times during the construction of a railway; unfortunately, owing to ignorance, it was not preserved. St. Ternan was titular of the church at Slains, Aberdeenshire, and of chapels at Findon, Kincardineshire, and Taransay, in the island of Harris; at Findon is St. Ternan's Well and at Banchory a fair was formerly held on his feast day, June 12, and may possibly still survive. Thenog (or Thenew), mother of St. Kentigern (or Mungo), lived in the sixth century and was honored among Scottish saints; her feast day was celebrated on July 18. Her history is involved in much obscurity, for the legends that had grown up around it and were committed to writing six centuries later can scarcely be accepted as sober history. She is said to have been the daughter of a pagan ruler of Southeast Scotland, and that having been deceived and betrayed, she was about to become a mother. Her father in anger ordered the girl to be placed in a little coracle and set adrift on the open sea. The boat was launched at Aberlady, on the southern shore of the Firth of Forth, but it drifted inland towards the northwest and came ashore near Culross, in Fifeshire. A saintly hermit who lived there — Servan (or Serf) by name — befriended the outcast and the infant to whom she gave birth. He baptized both and educated the boy, who became renowned in Scottish annals as the illustrious Mungo. Thenog is said to have given herself to a life of prayer and penance. After her death she was invoked as a saint and her remains were honored in Glasgow Cathedral, where they were enshrined with those of her saintly son. A chapel was built in a later age on the spot where she landed, and its ruins are still to be seen. Another chapel was erected to her memory in the city of Glasgow; the street in which it stood (part of the present Argyle street) gained the name of St. Thenew's Gate, and the chapel with its holy well hard by became a favorite place of pilgrimage. The chapel is mentioned in documents dating from 1426, and traces of it were still to be seen as late as 1736. Up to the end of the eighteenth century the well was a place of resort; votive offerings of metal eyes, ears, hands and feet still hung upon the old tree near it — witnessing to the power of the saint's intercession. A Presbyterian church occupies the site of the ancient chapel; it bears the name of St. Enoch's, a corrupt form of St. Thenog's, which had passed into St. Tennoch's in the course of ages. The square in which the modern church stands has given its designation to St. Enoch's railway station. St. Thenog's feast is given in the Aberdeen Breviary with a proper Office. In this connection it seems desirable to treat upon St. Servan — known also as St. Serf — before passing on to the less debatable ground occupied by St. Mungo, his accredited disciple. Until comparatively recent times the story of the charity shown to the forlorn Thenog and her child passed without question. But modern historical critics pointed out an undeniable anachronism in the story which tended to cast doubt upon any connection between Serf and Kentigern. If St. Serf, as had been stated by Fordun and others, was, like Ternan, a disciple and fellow-worker with St. Palladius, who died about the middle of the fifth century, he must have been born about the beginning of that century, and at the birth of St. Mungo (given as 518) must have been a centenarian at least. This might pass, but other records mention St. Serf, the founder of the church of Culross, as a contemporary of St. Adamnan, and the head of the Culdees in the seventh century. The only possible explanation which can meet the case is to suppose that two saints bearing the same name lived at Culross at different epochs. Color is given to this suggestion by the fact of the absolute silence of any connection between St. Serf and St. Kentigern in one ancient life of the former still extant. Whatever be the case, the name of Serf was held in honor at Culross and the neighborhood. The saint's cave became a place of pilgrimage, and the locality in which it stood, known as Dysart ("Desert"), gave its name to the town which sprang up there. Churches were dedicated to St. Serf at Monzievaird, in Perthshire, and Alva, in Stirlingshire; holy wells called after him were venerated in each of these places. Fairs held on his feast day at Abercorn and Aberlednock seem to point to dedications to him there also. But it was at Culross that his memory was especially cherished. The Cistercian monastery founded there in the thirteenth century united his name with that of Our Lady as titular; a fair was held there also on his festival. But more striking still, the custom prevailed at Culross from time immemorial of a procession of young men through the streets, all carrying green branches, on the 1st of July (St. Serf's Day) and of the dedication of the remainder of the day to holiday sports and amusements; the Town Cross, too, round which the procession was accustomed to pass, was gayly decorated with garlands and ribbons. These festivities, evidently Catholic in origin, continued up to the time of George III. To avoid too many public holidays, they were transferred to the King's birthday, and even survived the accession of Queen Victoria. St. Serf's feast is placed on July 1 in the Breviary of Aberdeen. Another saint whom tradition connects with St Ternan and who must therefore have flourished in the late fifth or early sixth century was St. Merchard, Bishop. Born of pagan parents in the district of Kincardine-O'Neil, Aberdeenshire, he became a Christian early in life and is said to have been ordained by St. Ternan, who associated him with himself in missionary labors. Tradition speaks of his having journeyed to Rome later in life and having been there consecrated Bishop. One of St. Merchard's churches was in Glenmoriston, Inverness-shire; the writer is familiar with its site and the ancient burial ground, still in use, attached to it. The local tradition tells that the saint when laboring as a missionary in the neighboring glen of Strathglass, in company with two disciples, discovered by revelation three bright new bells buried in the earth. Of these he gave one to each of his companions and retained the third for his own use. Each was to take a different direction and found a church in a spot where his bell should ring thrice of its own accord. Two churches were thus built, one in Strathglass and the other in the Isle of Skye. St. Merchard scaled the hills towards Glenmoriston. The point where he came in sight of the glen is still called "Suidh Mhercheird" ("Merchard's Seat"), and there his bell is said to have first sounded. Descending to the valley of the River Moriston, he came to a spot near Ballintombuie, where his bell rang the second time; the place is marked by a spring of excellent water, still called "Fuaran Mhercheird" ("Merchard's Well") by Protestants as well as Catholics. The old churchyard by the river, where his church was built, bears the name of "Qachan Mhercheird." Whatever additions may have been made to the authentic story of the saint's labors in that glen, it is beyond doubt that a very ancient iron bell was preserved in the churchyard for many centuries, even after the church had fallen to ruins in the seventeenth century. The narrow- pointed spar of granite which supported it may still be seen. The bell was removed by one of the lairds to his own residence, but so great was the dissatisfaction expressed by the people of the glen that he eventually restored it. Unfortunately it was wantonly hidden away by some half-tipsy strangers more than forty years ago, and has never since been found. A Scottish priest informed the present writer that he had questioned one of the delinquents in after years, but the man could not recall what they had done with the relic. Devotion to St. Merchard was very strong in that district in Catholic ages and the saint is still regarded by Catholics as the local patron; the small chapel in the glen, built when Catholics were far more numerous, bears his name. The saint's remains were venerated at Kincardine-O'Neil, where a church was erected over his tomb. A fair was formerly held there for eight days, during the octave of his feast, which the Aberdeen Breviary places on August 24. He is sometimes referred to as Yrchard. The renowned apostle of Strathclyde, St. Mungo, or Kentigern, must not be passed over, although his name has been more generally kept in remembrance than those of other Scottish saints. The legend of his education by St. Serf has been already mentioned. Mungo's title to veneration rests upon his unwearying labors for the district of Scotland which he evangelized. The ancient kingdom of Strathclyde extended from the River Derwent, in Cumberland, to the Clyde. St. Ninian had long before preached the faith there, but in the course of two hundred years, owing to constant strife and warfare, it had almost disappeared. St. Mungo was to bring it back again by his imwearied labors, fervent prayers and the purity and austerity of his life. He took up his abode at Cathures, now known as Glasgow, where many disciples gathered round him. Eventually raised to the episcopate, he ruled his flock with all the ardor of an apostle. The persecution of a wicked king drove Mungo into exile. After preaching in Cumberland, where many dedications still bear witness to his zeal, he made his way into South Wales, where St. David, the great monastic founder, received him with affection. St. Mungo became the father of a flourishing monastery at Llanelwy, where mtore than nine hundred monks are said to have kept up by constantly renewed choirs day and night unceasing praise of God. Recalled to Glasgow, he left his monastic family in charge of St. Asaph, whose name took the place of the original designation, Llanelwy, and became, as St. Asaph's, a centre of piety and learning and the seat of a bishopric. St. Mungo closed his career at Glasgow in extreme old age. He was laid to rest in the spot where the beautiful Gothic cathedral, still almost entire, was built over his tomb. There, in the magnificent undercroft, his resting place is pointed out to this day, although the splendid shrine, which kings delighted to visit out of devotion, was destroyed when Puritans ousted the Catholic religion. St. Mungo's dedications, in England and Wales, as in Scotland, are too numerous to recall here. The date of his death is variously stated, but was probably 612, and certainly on the octave of the Epiphany, January 13. His feast, formerly kept on that day, is now observed on the 14th. Of the two saints who follow, one is even better known than St. Mungo, and needs little mention here; the other is illustrious by reason of the connection between them. These are the great St. Cuthbert, the apostle of Lothian, and his master and teacher, St. Boisil. St. Cuthbert is generally classed among English saints, on account of his having been later raised to an English bishopric, but he has never been claimed as an Englishman by birth. The tradition of the church of Durham was that the saint was of Irish race, but this view does not tally with St. Bede's account of Cuthbert, and the careful Bollandists for many reasons reject that tradition. The most reliable authorities are of opinion that he was born of lowly parentage in the neighborhood of Melrose. It was while tending his flock on Lammermoor that he had that vision of the heavenly glory of St. Aidan, the monk-Bishop, which turned his thoughts towards the monastic state. Later on he entered Melrose as a novice, and was received gladly by Boisil, the prior, who was enlightened to predict for the youth a glorious future in the Lord's service. After years of monastic training, of teaching both by word and example, and of zealous missionary labors, which were most abundant and fruitful, Cuthbert was made Bishop of Lindisfarne, and for the two years he filled that office was a model of every virtue and a pastor full of zeal and charity. In the pages of St. Bede we have an authentic record of Cuthbert's life and character, written not more than forty years after the saint's death by one who was practically a contemporary and who styles him a saint. St. Cuthbert died in 687; he had been more than thirty years a monk. Eleven years after death his body was found still incorrupt. Incursions of the Danes rendered his tomb at Lindisfarne unsafe from desecration, and for two hundred years his body was conveyed from place to place, until it was laid to rest in Durham Minster. When Henry VIII. destroyed the sacred shrines of England St. Cuthbert's incorrupt body was secretly moved by the monks of Durham to a secure hiding place whose exact locality has been handed down by tradition through certain chosen members of the Order of St. Benedict even to this present day. St. Cuthbert's honored master, St. Boisil, was prior of Melrose, under the holy Abbot Eata. Melrose must not be confounded with the later Cistercian abbey of that name, founded by David I. Old Melrose was an earlier monastery which followed the rule of St. Columba, and had been founded by the same St. Aidan whose sanctity and glory had been revealed to the young Cuthbert. Boisil is styled by Venerable Bede "a monk and priest of surpassing merit and prophetic spirit”; he it was who welcomed Cuthbert to Melrose, and being deeply learned in the Scriptures, became his master and devoted friend. In 664 a terrible epidemic known as the "yellow plague" ravaged Scotland, carrying off numbers of the inhabitants. Boisil and Cuthbert were both attacked and in danger of death. But from the first St. Boisil foretold that he would die and St. Cuthbert recover, and so it fell out. Before the end, Boisil prophesied the future greatness of his beloved pupil and his elevation to the episcopate. In the few days remaining before Boisil's peaceful death the friends were occupied in finishing the study of the Gospel of St. John, upon which they had been previously engaged. St. Boswell's, near Melrose, took its name from this saint, and the church was dedicated to him. The present village of the name has sprung up at a little distance from the ancient place, which has now entirely disappeared with the exception of the old church, restored a century ago. St. Boisil's holy well is near it, and an annual fair, held on July 18, seems to have some connection with the saint, although his feast in Scottish calendars occurs on February 23. St. Bede has written in great praise of St. Boisil's personal holiness of life. His remains were translated to Durham Minster in 1030 and deposited near the body of St Cuthbert. Some other zealous Bishops who labored in various parts of Scotland must not be overlooked. St. Caran, a saint of the seventh century, was held in honor in the northeastern districts. At Fetteresso, in Kincardineshire, are the ruins of an ancient church dedicated to him. At Drumlithie, in the same county, is a holy well called St. Caran's. A fair was formerly held on his feast day, December 23, at Anstruther, in Fifeshire, which seems to indicate the dedication of the church to this saint, though no other evidence is forthcoming. It may be remarked that it was at Anstruther that Knox preached one of his inflammatory sermons against idolatry which resulted in the destruction of the altars and images in that beautiful building. There are traces of the veneration of St. Caran in Strathrnore (Caithness) also, but he is thought to have been an east country saint. No particulars of his life are known to us; his feast is noted in the Aberdeen Breviary. The next saint is far better known, and traces of his cultus are not far to seek in the northern counties of Scotland, where he labored and prayed. This is the illustrious Bishop, St. Nathalan, patron saint of Deeside, who was of Pictish race and flourished in the seventh century. He was born of a noble family at Tullich, Aberdeenshire, and from his earliest years was distinguished for fervent piety. In spite of his rank he loved to labor in the fields as a means of fostering prayer and subduing the passions. In a moment of impatience he once murmured slightly against God's providence, and as a penance he resolved to make a pilgrimage to Rome, wearing a heavy chain which he secured by a lock and then threw away the key into the River Dee; the spot still bears the name of "Pool of the Key." One legend tells of his buying a fish for food when in Rome and finding the key within it; but this is not the only saint of whom the like wonder is related. In Rome Nathalan became a cleric, and after years of study was sent at his own desire to preach the faith to his countrymen. He was consecrated Bishop and returned to Scotland, where he labored as a missionary all his life. Three of the Deeside churches — built at his own cost — were founded by him, Tullich, his native place; Bothelney (now called Meldrum) and Cowie or Collie. Irish records allude to him as visiting that country, and the foundation of the monastery of Dungiven, in Ulster, is attributed to him. Many wonders are related of St. Nathalan; distributing all his corn to famishing neighbors on one occasion, he sowed his fields with sand, and a copious harvest, it is said, resulted; by the fervor of his prayers he stayed a raging pestilence with which Bothelney was threatened. The latter miracle earned for the saint the observance of his feast day there in after years as a general holiday, when no work was permissible; the day (January 8) continued to be thus kept even in Protestant times, when the reason for it had long been lost sight of. There are many traces of St. Nathalan in Deeside. Meldrum was once known as Bothelney, said to be a corruption of "Bothnethalen" ("dwelling of Nathalan"); Nauchlan's Well is a spring near the old church, and the saint's fair was annually held there until comparatively recent times. A huge slab of granite, now forming the lintel of one of the doors of the church at Tullich, formerly lay within the building. It has an antique cross engraved upon it, and it is conjectured that it may have formed part of the saint's tomb originally. St. Nathalan died about A. D. 678. His feast was restored to Scotland by Leo XIII., and is kept on January 28, as the actual day of his death falls during the privileged octave of the Epiphany. Very little is known for certainty about St. Talarican, the Scottish saint of about the same period. The Breviary of Aberdeen actually styles him an Irishman; but Dr. Forbes, a competent authority, maintains his Pictish origin from the character of his name and from the fact that no saint who can be identified with Talarican is mentioned in Irish calendars. Beyond the fact of his having labored strenuously in the north of Scotland — evident from the dedications to him which survive, and his care to offer Mass daily, there are no particulars of his life extant. The large district of Inverness-shire, known as Kiltarlity, where the ruins of Beauly Priory may still be seen, took its name from this saint. The church of Fordyce, Banffshire, where "St. Tarkin's Well" exists, and the saint's fair was annually held; a former church and burial ground called by his name near Loch Portree, in Skye; the traces of another church in the island of Taransay — these are St. Talarican's chief memorials. He died early in the eighth century; has feast falls on October 30. His cultus was restored by Leo XIII. Another saint of the eighth century, St. Baldred, has been erroneously styled the disciple of St. Mungo, but there is evidence that he lived more than a century later. He retired to a hermitage on the Bass Rock, the lofty conical islet in the North Sea opposite North Berwick; from thence he made occasional missionary excursions to the mainland. He has been called the apostle of East Lothian; it seems certain that he founded at least three churches in Haddingtonshire — Aldhame, Tyningham and Prestonkirk. At the site once occupied by the former village (which no longer exists) is St. Baldred's Cave on the seashore. At Prestonkirk, where the church bears his name, is a holy well whose water, as a Protestant authority relates, is renowned for its excellence for making tea! The saint is patron of Tyningham church also, and his chapel, though ruined, is still discernible on the Bass Rock. An eddy in the Tyne is styled "St. Baldred's Whirl." Simeon of Durham gives the date of St. Baldred's death as 756, and Alcuin, writing in the eighth century, also mentions him. A curious legend, which is scarcely likely to meet with acceptance from modern critics, is recounted in the Aberdeen Breviary in the lessons of the saint's office on March 6. At the death of the saint, it is said, his three churches on the mainland each laid claim to his body. Grace dissensions would inevitably have been caused had not the saint settled the dispute in a manner which gave universal satisfaction. When the rival claimants appeared to bear away the precious remains, they found side by side on the shore three bodies exactly similar, and each party carried back to their own church what each had ardently desired to possess. It should be borne in mind that the pious and learned compiler of the Breviary in question does not vouch for the absolute accuracy of the legends there set forth. He has merely embodied the traditional lore which he had found in existence in the late fifteenth century. With regard to the legend in question, an explanation of its origin readily occurs: relics of St. Baldred treasured in each of the three churches might easily acquire the popular designation of "St. Baldred's body" in each case. The legend in its later form might thus take shape in the course of passing ages. Similar cases are to be met with in regard to the sacred remains of other saints; a relic of a head, especially if preserved in a reliquary of appropriate form, tends to become in popular speech "the head" of the saint in question. Have we not heard, to our amusement, the oft-repeated accusation that the Catholic Church tacitly permits the veneration of various arms, fingers and even heads of some particular saint in various localities at the same time? Though other saints who flourished at about the same period as the above might be treated upon, it may be more satisfactory to pass on to others of greater interest found in a later epoch. St Duthac, the next to claim our attention, lived in the eleventh century. Though born in Scotland, he passed over to Ireland for the sake of Scriptural studies. After returning to his own land he was made a Bishop and gave himself to the spread of the Gospel in the districts of Moray and Ross. He is said to have been particularly zealous in hearing confessions. An Irish record relates that he died at Armagh, but this is not in accordance with Scottish tradition. His tomb at Tain, in Ross-shire, became one of the chief Scottish places of pilgrimage, and the Breviary of Aberdeen tells of his body having been found incorrupt there, seven years after his death, and of miracles wrought by his intercession. Some Scottish writers place St. Duthac's death two centuries later than the Irish tradition, but it has been pointed out that the saint's visit to Ireland for study is inconsistent with the state of that country in 1220, though it is quite compatible with circumstances in the earlier century. The discrepancy may perhaps be explained by allowing that St Duthac may have died at Armagh about 1065, but that his remains were translated to Tain in the thirteenth century. But another view suggests itself: Ardmanach was the name by which the district around Tain was formerly known; it is possible that "Ardmacha" of the Irish annals may be a corruption of this. Tain bore the Celtic name of "Baile Dhuich" ("Duthac's Town"). The burg arms still retain his figure with the inscription, "Sanctus Duthacus." Two annual fairs were called after him, one in March — "St. Duthus in Lent," the other in December; as his feast day was kept in March, it seems probable that the fair held on the sixth day after Christmas commemorated that later translation of his body "to a more honorable shrine," referred to by the Aberdeen Breviary, which seems to strengthen the tradition of his earlier birth. St. Duthus' Cairn at Tain recalls the saint's memory, as well as a holy well in Cromarty parish. Loch Duich, Kintail, Kilduthie, in Kincardineshire, and Arduthie, in the same county, are named after him. Aberdeen Cathedral possessed some of his relics, and his bell was honored at Tain in 1505. Leo XIII restored St. Duthac's feast to Scotland, and his memory is celebrated on March 8. The difficulty with regard to accurate dates, already referred to in other instances, occurs in relation to St. Bean, our next saint. Tradition makes him Bishop of Mortlach, but modem historical critics deny the existence of such a see. The evidence of the foundation of a Bishopric of Mortlach adduced by the historian Fordun— certain characters belonging to the See of Aberdeen — can no longer be accepted; the charters in question have been shown by internal evidence to be undoubtedly spurious. The Bollandists, however, incline to the view put forward by Robertson that though there was no See of Mortlach, St. Bean fixed his abode there. His connection with that Banffshire locality is proved by the dedicatiorv of the church to him, and the existence there previous to 1757 of an ancient stone statue traditionally reported to represent him. The place-name Balvanie ("Dwelling of Bean the Great," as its Celtic form, "Bal-beni-mor," indicates) is further evidence of the fact. The churches of Fowlis Wester and Kinkell, both in Perth-shire, were other dedications to this saint and an annual fair held at the former place on St. Bean's feast, old style, as well as a sacred spring bearing his name are further proofs of his cultus there. He died on October 26, about the end of the eleventh century. A curious blunder in the Roman Martyrology concerning St. Bean may here be mentioned. On December 16 is commemorated: "Aberdone in Hibernia sancti Beani Episcopi" ("At Aberdeen in Ireland the blessed Bishop Bean"). The explanation is not far to seek. An Irish Bishop of the same name was honored in that country on December 16, and the two came to be regarded as the same person. This led to the insertion in the Usuard of Molanus on that date of the following: "In Hybernia Beani episcopi primi Aberdonensis" ("In Ireland, Bean, first Bishop of Aberdeen"). A slight change in the wording produced the present extraordinary statement of the martyrology. St. Bean's cultus was recognized by Leo XIII in 1898. Regarding our next saint, we find the unusual instance of a Scotsman whose tomb in England became the bourne of an exceedingly popular pilgrimage in Catholic ages. St. William, honored later as a martyr, was a native of Perth in the latter part of the twelfth century. For many years he followed the trade of a baker. To atone for a period of irreligion in his youthful years, William began to lead a life of notable piety and charity. 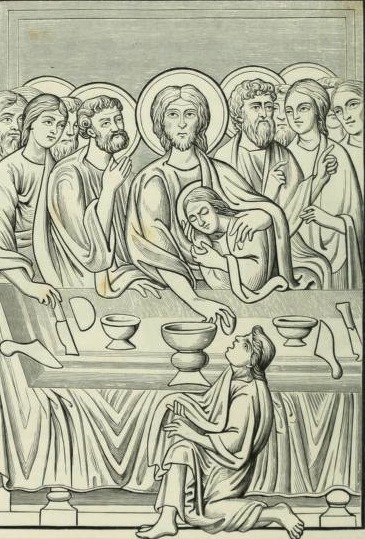 He made it a custom to bestow upon the poor in alms a tenth part of the bread he made. Finding a deserted infant lying abandoned in the street, he carried home the child and reared him as though he had been his own son until the lad grew to manhood. Desiring to make a pilgrimage to the holy places in Palestine, William set out, accompanied by this foster-child, by way of England. The two had passed through Rochester and were on their way to Canterbury, when the holy man's companion, at a lonely spot near Maidstone, savagely attacked his benefactor with a blow from his staff, and having felled him to the ground, slew him with an axe. Robbing the body, he left it lying there and took flight. There the body lay for some days, until a mad woman in her wanderings discovered it. In childish sport she crowned the head with flowers and afterwards transferred the wreath to her own brow. In an instant she became of sound mind, and flying to the Cathedral, related to the clergy all that had happened. Touched by the miracle, they bore the body to the Cathedral for honorable burial. The circumstances of his death gained for William the title of martyr and led to the petition of Bishop Laurence de S. Martino to Pope Innocent IV. for William's canonization; this was granted in 1256. The recognition of William's sanctity led to the erection of a shrine in the Cathedral for his remains and a continually increasing concourse of pilgrims thither. From their generous offerings a new choir and a central tower and spire were added to the Cathedral. Among the pilgrims was the English monarch, Edward I., who made his offerings there in 1300. Pope Boniface IX in 1399 granted an indulgence to pilgrims to the shrine. A little chapel, erected at the spot where he had been slain, was evidently visited by pilgrims, as its name, "Palmersdene," implies. Its ruins are still to be seen, near St. William's Hospital, on the road to Maidstone. The relics of St. William of Rochester, as the saint came to be styled, met the fate of all such sacred remains in the general demolition of shrines in 1538. His feast was kept on May 23, which was probably the anniversary of the discovery of his body. The last Scotsman canonized before the Reformation was St. Gilbert, Bishop of Caithness, who flourished in the thirteenth century. He was of noble birth, being son of William, Lord of Duffus. Entering the Cistercian abbey of Melrose, Gilbert became a monk. Later on he was raised to the episcopal See of Caithness, which he occupied for twenty years. His Cathedral at Dornoch was a humble building dedicated to the Irish saint, Finbar, who had been a missionary in those parts. The extreme poverty of the diocese and the unsettled state of society had prevented the erection of a worthier sanctuary. This became Gilbert's first aim; under his direction and at his sole cost a beautiful Cathedral arose at Dornoch, an early English building, with aisles, transepts, central tower and lofty spire. The saintly prelate took a delight in laboring with his own hands in the work of erection and superintended the manufacture of glass for the windows in the glass works he had established for the purpose at Sideray. When the material building had been completed, St. Gilbert's next care was the formation of his cathedral chapter. He established ten canons and adopted the use -of Lincoln in the sacred offices. The magnitude of his work may be better estimated by Waring in mind the half-savage nature of the people of his diocese at that period. Two of his predecessors had been either burned or stoned to death by an angry mob in return for what was considered excessive zeal on the part of the clergy; it was left to St. Gilbert, by his holy and wise administration, to tame, to some extent, such rebellious spirits. St. Gilbert dedicated his completed church to St. Mary the Virgin, a century after his death, which took place in 1245. It had come to be styled SS. Mary and Gilbert, for the many miracles attributed to him had led to his being regarded as a saint. In honor of God, the Blessed Virgin Mary and St. Gilbert, Pope Pius II conferred upon the Cathedral the privilege of "Sanctuary," and the contemporary monarch, James III, confirmed the Papal grant by civil legislation In 1464. The relics of the saint were venerated in Dornoch until the Reformation; there is record of accused persons clearing themselves of charges by swearing "on the relics of St. Gilbert" and "touching the same relics" in the chapter house in 1545. The Cathedral was destroyed by fire in an affray between hostile barons in 1570, ten years after the overthrow of the Catholic religion in Scotland. It was rebuilt in modern times; the ancient tower has been incorporated into the present building. No portion of St. Gilbert's shrine remains except a mutilated statue which is thought to have been part of it. The Breviary of Aberdeen gives St. Gilbert's feast on April 1, the day of his death. "The registers of the churches and bibliothecs or libraries were cast into the fire; and these were so entirely destroyed that if in Scotland there had happened a debate about the consecrations or ordinations of Bishops and priests, either before or about the time of the Reformation, I do not believe that of all our ancient Bishops and priests, ordained within the country, there could have been found the register or act of consecration of any one of them — so careful were the Reformers to sweep clean away all that could renew the memory of the religion in which they had been baptized." It is subject for thankfulness that some scraps of ancient records have been spared from the wreck to tell us the little that we are able to gather regarding the early saints of Catholic Scotland. Michael Barrett, O. S. B. The American Catholic Quarterly Review,Volume 43 (1918), 429-444. November 27 is the feastday of a saint into whose interesting life and career I hope to do much more research - Virgil of Salzburg. Behind this classical name lies an eighth-century Irishman, Fearghal, whose love of learning threatened to lead him into trouble, especially with his contemporary, Saint Boniface, who, like Virgil, laboured among the Germans. Below is a paper from the American Ecclesiastical Review on the life of Saint Virgil, not only a great Irish missionary, but also a great Irish scholar. SOME time ago an item of news made the rounds of the Catholic press that must have cheered the heart of every missionary. Catholic Ireland, it said, has begun to take an active share in the evangelization of China. On St. Patrick's Day the Chinese Missionary Society of Maynooth, one of the youngest of our missionary organizations, sent forth its first band of apostles to the Far East. Their destination is the Province of Hupe on the Yangtzekiang. Others will follow soon, for the Mission Seminary is filled to overflowing with students. On reading this welcome news my thoughts turned back to the glorious days of the ancient Irish Church, when Ireland's sons went over the seas in shiploads to bring Christianity and civilization -to every country of Europe; when Columkille converted the Pict, Columbanus and Gall preached to the Alamannian and the Lombard, and Kilian laid down his life in defence of the faith in the Thuringian Forest. What a pity that, with but a few exceptions, these Irish heroes of Christianity found no contemporary biographers to tell the world of their deeds and sufferings. Of many of them we know hardly more than their names; with others legend and folklore have been so busy that it is no easy task to separate the chaff from the wheat in the accounts that have come down to us. In this paper we shall attempt to sketch the career of one of the last great Irish missionaries of the early Middle Ages St. Virgil of Salzburg. His so-called biography was written four hundred years after his death and is of no historical value. For our knowledge of him we are indebted to occasional notices in various contemporary sources. I. "THE PILGRIMAGE OF THE LORD." About the early life of Virgil, or Fergil, as he was called in his native land, we know nothing at all. When we first hear of him, he was abbot of Aghaboe in the present Queen's County, Ireland. His superior knowledge of mathematics had gained for him the surname of the Geometer. About 743 he left his monastery to spend the rest of his days on the Continent as a voluntary exile "for the love of Christ ". The fame of St. Fursy's tomb and of the great Irish monastery that had sprung up round it drew him to Peronne in Western Gaul. At Quierzy on the Oise he met the Neustrian Mayor of the Palace, Pippin the Short, who had just returned from his successful expedition against his rebellious brother-in-law, Duke Odilo of Bavaria, The Prince became greatly attached to the learned monk and kept him in his palace for two years. Then he sent him to Odilo, who after a short period of imprisonment had been permitted to resume the government of his dukedom. Of Virgil's companions two are known to us by name : Tuti, or Dobda, an Irish Bishop, called the Greek, and Sidonius, who was probably also an Irishman. 2. CONFLICT WITH ST. BONIFACE. 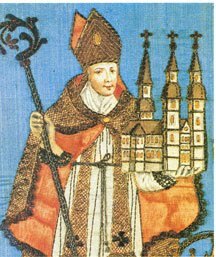 Several years before Virgil's arrival St. Boniface had organized and reformed the Bavarian Church. He had divided the country into four dioceses, viz., Passau, Ratisbon, Freising, and Salzburg, and appointed able and God-fearing men to preside over them. A synod, which met in Ratisbon in 740, crowned the work of reform and ushered in a long period of bloom for the Church in Bavaria. Amongst the clergy there were, however, still some whose unclerical conduct or lack of theological training was a constant source of annoyance to Boniface and of disedification to the faithful. It was an unlettered priest who occasioned the famous controversy between Boniface and Virgil which was attended with such unpleasant consequences for both. Owing to his ignorance of Latin he had baptized with the words: "Baptizo te in nomine patria et filia et Spiritus Sancti" (" I baptize thee in the name fatherland and daughter and of the Holy Ghost"). 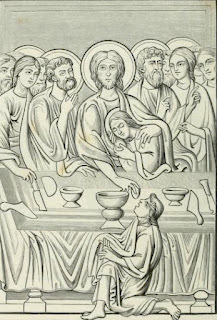 Boniface, always scrupulous, and still more so as he advanced in years, decided that baptisms administered in this manner were not valid, and ordered rebaptism. Virgil and his friend Sidonius, whom he appears to have charged with this task, questioned his ruling and sought from Pope Zachary a clear decision in the matter. The Pontiff pronounced in favor of the Irishmen. "If the person who baptized," he wrote to Boniface on I July, 746, " had no intention to introduce either error or heresy, but merely from ignorance of the Roman tongue made use of such words, we cannot agree with you that on this account the baptisms must be repeated. Therefore, if the report that has reached us is true, you must not in future issue such orders, but zealously hold to what the Fathers teach." Boniface submitted, but the friction between him and Virgil did not end here. About this time Bishop John of Salzburg died. Without consulting either the Pope or his Legate, Odilo appointed Virgil to succeed him, making him at the same time abbot of St. Peter's monastery in that town. Virgil took upon himself the administration of the vacant see, but for some reason or other deferred his episcopal consecration indefinitely. The purely episcopal functions were performed by his friend Dobdagrec. Such arrangements were frequently found in Ireland in those days and in Continental districts where Irish influence was paramount When Boniface, who was by no means inclined to give up his rights over the Bavarian Church, contested his position, Virgil replied that he held it with the sanction of the Pope. Zachary flatly denied this: he did not even know, he said, whether to call Virgil a priest or not. We may suppose that Virgil acted in good faith, and that he was misled by Odilo into believing that the matter had been arranged with the Holy See. Virgil's uncanonical position in Salzburg was only one of the charges that Boniface lodged against him in Rome; another was that he strove to poison the mind of Odilo against him; a third, that he was a teacher of heresy. What truth there was in the second accusation, we have no means of determining. In regard to the third, we have no first-hand information as to Virgil's supposed heretical teachings, but only the Pope's answer to Boniface's report. According to this, he taught that "there was another world, and other men beneath the earth, and sun, and moon." From these words it is not altogether clear what Virgil's doctrine was, or where his error lay. A glance at the cosmographical ideas current at the time may throw some light on this much-mooted question. The earth, anciently believed to be a flat surface, was already known to the educated Greeks and Romans to be a globe. On the question of antipodes, or inhabitants on the other side of the globe, opinion was divided. Those who believed in their existence maintained that they were a race of men wholly independent of us and separated from us by an impassable barrier of heat and water. Called upon to express their views on these matters, the Christian doctors left the question of the sphericity of the earth open, but emphatically rejected the doctrine of antipodes as repugnant to the scriptural teaching on the unity of the human race, the universality of original sin, and the redemption of all men by Christ. In the eighth century the great mass of the uneducated and no doubt the vast majority of the educated also, regarded the earth as a plane; but neither the doctrine of the sphericity of the earth nor the supposed existence of dwellers under the earth was entirely forgotten. Being a great scholar, Virgil must have been acquainted with Martianus Capella, Bede, and Isidore of Seville, perhaps also with Pliny and Macrobius. In Bede, Pliny or Macrobius he found scientific proofs for the sphericity of the earth, and in Isidore he read of the "unknown regions beyond the ocean" and of the races of men "fabled" to dwell there. In his lectures to the monks of St. Peter's, in his conversations with his friends, perhaps even from the pulpit, he may have given expression to these views without the necessary explanations. If he had merely spoken of another world beneath our earth with another sun and moon or the same sun and moon that illumine ours, his doctrine might have aroused astonishment and even contradiction, but neither Boniface nor any other bishop would have branded it as heretical ; for these are questions that can in no way be a matter of faith; but if he spoke of other men beneath the earth, of antipodes, he was universally understood to mean, even if he did not expressly say so, a race of men not descended from Adam and not redeemed by Christ, and Boniface was perfectly justified in denouncing him to the Pope. Zachary pronounced no immediate sentence in the case. He was evidently not fully convinced of Virgil's guilt. "In regard to the said Virgil's sinful and perverse doctrine," he wrote to Boniface on 1 May, 748, "which he has taught against God and his own soul if it be proved that he holds that there is another world, and other men beneath the earth, and sun and moon summon a council, expel him from the Church, and degrade him from the priesthood." He also wrote to Duke Odilo, requesting him to send Virgil to Rome to be examined. To Virgil and Sidonius the latter had evidently again identified himself with his countryman he sent a letter of reprimand and a summons to appear before him. Boniface himself he admonished "not to give way to anger in dealing with the erring, but rather to reprove, convict, and rebuke them in all patience that they may the more surely return from error to the path of truth". We do not know whether Virgil went to Rome or not; nor is there any trace of a Bavarian council having been summoned to decide his case. The war that broke out between the Franks and the Bavarians after the death of Odilo in the summer of 748 and ended in the defeat of the latter, probably made the holding of a synod impossible. It has been suggested that Pippin interfered in favor of his former protege, and prevented further action against him by his fellow bishops. I am inclined to believe that Boniface followed the advice of the Pope and in a friendly conference gave Virgil the opportunity of clearing himself entirely from the imputation of heresy. At all events, what we know of Virgil's subsequent career precludes even the possibility of his having been deposed from his office or subjected to any ecclesiastical penalty. Templa, loco quaedam nunc quae cernuntur in isto. Virgil also took an active part in the ecclesiastical life of Bavaria. In 774 he was present at the important synod held at Dingolfing in Lower Bavaria. The acts of the synod are still preserved. They show how zealously the bishops watched over the spiritual and temporal welfare of their flocks. They insist on the strict observance of Sunday, on discipline in the monasteries, and on the rights as well as the duties of serfs and slaves. To restrain duelling, they decreed that a peaceful settlement must be attempted before an appeal to arms was permitted. It was at this synod, too, that the bishops and abbots of Bavaria formed a union, or confraternity, of prayer, the members of which pledged themselves to assist each other by prayers and good works in life and by Masses after death. Endowed with a full share of the missionary zeal of his countrymen, Virgil also turned his attention to the pagan nations settled on the borders of his diocese. About the middle of the eighth century Borut, the ruler of the Carantanian Slavs, sought the aid of the Bavarians against the fierce Avars, who had been harassing and pillaging his lands for years. Duke Odilo acceded to the request, but Borut had to acknowledge his overlordship and send his son Gorazd and his nephew Cheitmar as hostages to Bavaria. Here the princes were instructed in the Christian religion and received baptism. Borut was succeeded by Gorazd, who thus became the first Christian ruler of the Alpine Slavs. His premature death prevented him, however, from doing anything for the spread of the Christian faith amongst his subjects. His successor Cheitmar requested Virgil, to whom he was bound by ties of devoted friendship, to preach the Gospel to the Carantanians. Unable to do so himself, Virgil sent his countryman Modestus with a number of priests and clerics in his stead. For ten years Modestus labored untiringly amongst the rude peasants and shepherds of the Carinthian and Styrian mountains. In spite of the difficulties and dangers with which he had to cope, he succeeded in establishing Christianity firmly in the land. Christian communities sprang up in various parts, and with Virgil's aid half a dozen churches, rough wooden structures, but sufficient for the needs of the faithful, could be erected. After the death of Modestus in 760 the infant Slavish Church was threatened with utter ruin. The pagans took up arms against the Bavarians, fired the churches and expelled the missionaries. Still Virgil did not lose heart. As soon as the insurrection was quelled, he dispatched a fresh band of apostles to take up the abandoned work. The ruined churches were rebuilt, the scattered Christians returned to their homes, and better days began to dawn for the mission. Virgil did not live to see the full fruits of his efforts for the conversion of the Slavs. Still it was he who had prepared the soil and sown the seed and sent the laborers, and therefore he has been justly styled the "apostle of the Carantanians ". He had also planned the evangelization of the Avars, who dwelt farther to the east; but as no favorable opening presented itself, he desisted from the attempt. 5. VIRGIL'S LIBER VITAE. His DEATH. After his conflict with St. Boniface, Virgil to all appearance gave up his speculations in cosmography; his restless mind, however, was busy in another direction. He took the liveliest interest in the preservation of the historical traditions of the Bavarian Church. He gathered the materials for a life of St. Rupert and encouraged his episcopal colleague, Aribo of Freising, to write the life of St. Corbinian. But the most important historical document which we owe to him is the Salzburg Liber Vitae (Book of Life). It was begun in the year of his death, and contains the names of all persons, clerical and lay, living and dead, who were in spiritual communion with the monks of St. Peter's monastery in Salzburg, and for whom commemoration was to be made at the Holy Sacrifice of the Mass. Among the thousand names entered on the lists are those of all the Abbots of Iona (Hy) from 597, the year of the death of St. Columkille, to 767. Among the living potentates we find the name of the Pictish King Cinadhon. A letter is still extant in which a certain Abbot Adalbert recommends a deceased monk to the prayers of Virgil and his associates. Virgilius templum construxit scemate pulchro. Numerous miracles ascribed to his intercession led to the introduction of his cause in Rome and his canonization by Gregory IX in 1233. His feast is celebrated on the 27th of November. This is all that authentic history tells us of Virgil, the scholar, bishop, apostle, and saint. Only total ignorance of the facts, or the wish at all costs to cast an aspersion on the papacy, can make of him, as has been frequently done, a "martyr of science and a victim of Roman intolerance ". American Ecclesiastical Review, Vol LXIII, (1920) 13-21. 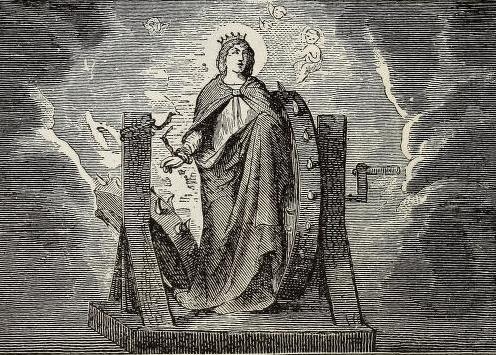 THE LEGEND OF ST. CATHERINE OF ALEXANDRIA. By Ellen Fitzsimon (born O'Connell). When for the Christian Faith she gave her life away. Of that great Saint, her legend I repeat. Laying my homage humbly at her feet. Amid a circle of philosophers. Of solemn sages, throughout Egypt famed. A Christian virgin, stately, fair, and young. Descended of a high Imperial race. And further graced with genius' golden gifts. With all those mighty masters of the mind. On all thy varied forms. Philosophy! And higher still. Theology divine. Of listeners hung upon her silvery tones. The worn-out faith on fable solely founded. On fable, feeble, foolish, and unclean! Broke up the assembly, on some poor pretence. Who thus had humbled them before the people. She sought her secret cell, to purity. To constant faith, true love, and hope divine. Thy handmaid power to triumph in Thy name”. Came Maximin, the tyrant Emperor. No less than for her bearing and her genius. When love (as fierce as hate) possessed his soul! His bright-eyed, cruel co-mate of the woods ! Without or exultation or disdain. He, who at first had nothing meant in honour. That Caesar woos thee for his bride, his Empress"
To follow in the path the Lamb doth tread. Against a daughter of Imperial line. The tyrant saw her leave his courtly halls. First ran its destined course around the sun. Unhesitating owned herself a Christian. That she unto the gods made sacrifice. If she would only bless him with her hand. Of many, and the secret tears of more. The executioner to do his duty. The wretch approached to turn the fatal wheel. To which the maiden was already bound. When, lo! a miracle! As struck by lightning. And Catherine, her arms crossed on her breast. Stood, calmly there, uninjured and unbound! “The gods forbid that Catherine should die!" And drew her with rejoicing to her home! She languished in the deepest of the dungeons. Her latest breath breathed out in prayer and praise ! By vast display of force. No star shone sparkling in the firmament. When lo! a sound such as no instrument. So sadly sweet, so thrilling, terrible. Shone, 'neath whose glare the Pagans, all aghast. A church and monastery were up-raised. Their pious intercessor with the Lord! In truth and wisdom from the ancient days. The Irish Monthly, Vol. 1 (1873), 204-207.